Emma Roberts Attends ‘American Horror Story: Freak Show’ Hollywood Premiere! Emma Roberts looked stunning in black at the Hollywood, California premiere of American Horror Story: Freak Show on October 5th. AHS will be taking us under the big top with season 4, which premieres at 10pm on FX this Wednesday! Are you ready to get freaked out?! Check out more lovely photos of Emma who stars as Maggie this season, with her co-star Sarah Paulson, who will be playing Bette and Dot. We think the AHS gals looked amazing on the red carpet last night! 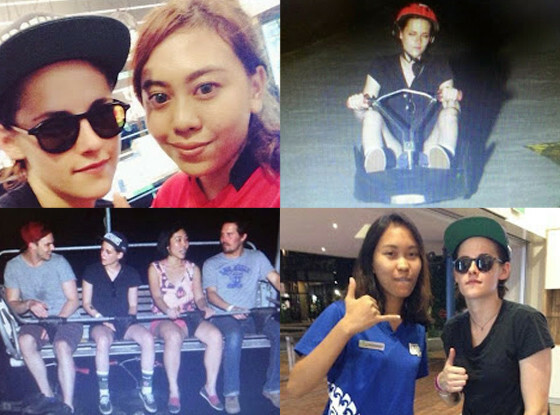 Kristen Stewart and Nicholas Holt have been very busy filming their upcoming film Equals, but the co-stars still take time for some fun and adventure in their free time! The pals headed out on the town in Singapore and went zip lining! They also posed with fans that came across them while they were enjoying the city. Would you ever want to try zip lining? Check out Kristen & Nicholas exploring their crazy, wild side below! 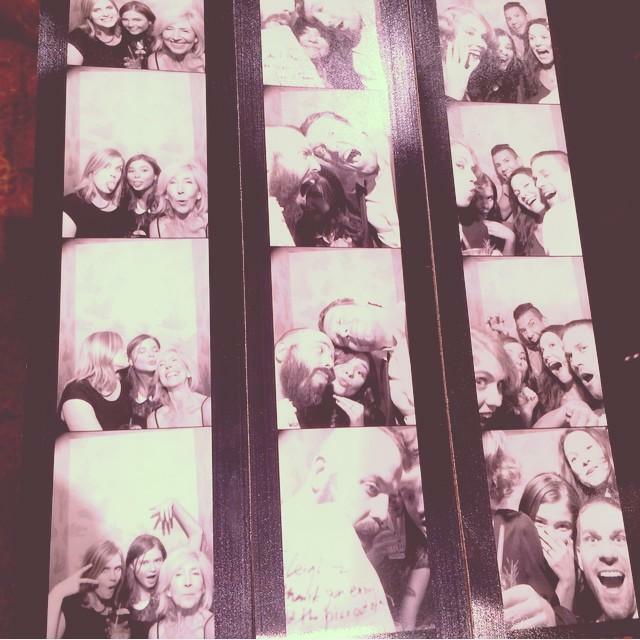 Stefanie Scott Attends The Insidious 3 Wrap Party! – Pics Here! Stefanie Scott spent her summer filming the upcoming horror film ‘Insidious 3.’ We can’t wait to see the finished product on screen next spring! A few nights ago, Stefanie headed to the ‘Insidious 3‘ wrap party to celebrate the end of filming with her co-stars and the crew. Check out a few more photos from the party below! 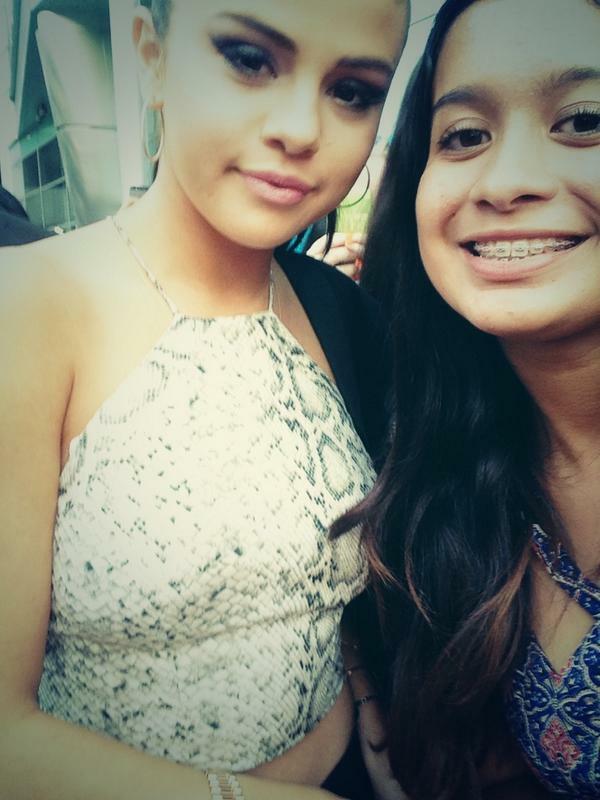 Selena Gomez And Co-Stars Dazzle The ‘Behaving Badly’ Red Carpet Premiere! – Pics & Vid Here!! The stars of the upcoming film ‘Behaving Badly’ took to the red carpet to promote the movie tonight at The Archlight Cinemas in Hollywood, California. Check out the video of Selena arriving to the premiere as well as some fantastic photos of Selena Gomez, Nat Wolff, and more below, and don’t forget to watch ‘Behaving Badly’ in theaters soon! Bella Thorne & ‘The Duff’ Cast Cheer On The Braves! Bella Thorne and a few of her fellow cast members from the upcoming film ‘The Duff’ took some time off yesterday in Atlanta, GA to catch a Braves baseball game. How fun! The crew enjoyed some yummy hot dogs and enjoyed each other’s company, chatting, laughing, and of course taking some fun photos! People at the game even took to Twitter saying that Bella was a good luck charm because The Braves won! Yahoo!! Congrats! 🙂 We can’t wait to see more of The Duff cast members out and about. Stefanie Scott & ‘Insidious 3’ Co-Star Bond Over Film! Recently news broke that Stefanie Scott will be joining the cast of the famous horror film series ‘Insidious.’ Last night Stefanie and her ‘Insidious 3′ co-star Lin Shayne got to know each other better and bonded over a movie! The dynamic duo attended a screening of Focus Features’ new film ‘The Signal.’ Both Stefanie and Lin dazzled with their smiles and their fashion while posing for photos. We can’t wait to see both of them in ‘Insidious 3’ set to hit theaters next spring! ‘The Outskirts’ will focus on a group of friends who are tired of being bullied by the queen bee of the school. Many hilarious pranks will insue to take down the queen bee and bring the friends together. The film will also co-star actresses Peyton List and Ashley Rickards. 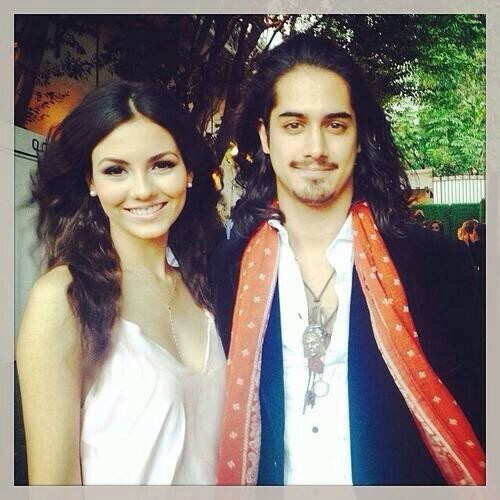 Are you excited to see Victoria & Avan on screen together again? 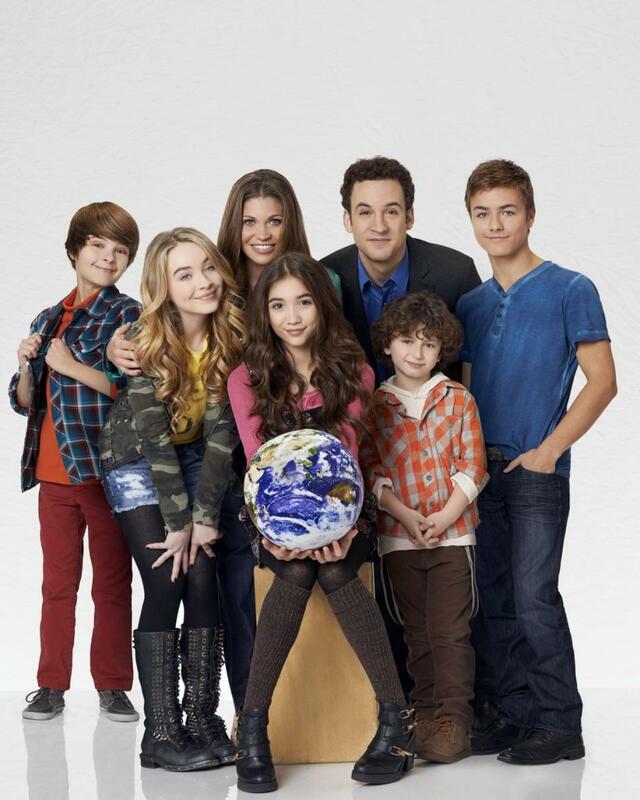 Danielle Fishel Gives “GMW” Co-Stars Advice! Roward Blanchard took to Tumblr recently to share some great advice that her ‘Girl Meets World’ co-star Danielle Fishel gave to her and co-star Sabrina Carpenter. Bella Thorne looks like she’s having a blast today while hanging with her co-stars Robbie Amell and Italia Ricci. Bella took to Twitter today to post the above photo of herself and Robbie showing Italia’s upcoming show ‘Chasing Life’ some love! Will you be catching ‘The Duff’ when it hits theaters soon as well as ‘Cashing Life’ on ABC Family next week? We can’t wait for both! Nick Jonas: Last Day Of MMA Training Camp For ‘Navy St.’ Role — See The Pics! Nick Jonas has been working hard, learning the ins and outs of Mixed Martial Arts for his role as a fighter with a UFC contract in DirecTV’s Navy St. For the past couple of weeks, the show has put Nick and co-stars Jonathan Tucker and Matt Luria through MMA training camp with their coach Joe ‘Daddy’ Stevenson, and on Friday (April 25), the trio wrapped up the basic education needed to make the show as gritty and realistic as possible! Not only did Nick, Jonathan, and Matt work on their skills at Master Toddy’s Muay Thai gym in Pomona, CA and Joe Stevensen’s Cobra Kai gym in Victorville, Nick also filmed a behind-the-scenes interview for the show and the guys were fitted for custom mouth pieces at Unbreakable!